Biomimetics enjoys a strongly positive image amongst both the general public and decision makers in industry and politics. Numerous popular illustrated science books have appeared over the last few years and a wide series of radio and TV programmes have been presented. Biomimetics is viewed as a modern high-tech subject and has essentially no negative associations connected with it. It is regarded as a seminal field of technology providing possible solutions for many urgent future problems faced by our society and the planet Earth as a whole. In addition to this tempting ‚biomimetic promise‘, which has to be tested for each individual case (for details, see C01), the aesthetic and elegance of many natural systems have the potential to fascinate people who otherwise might not be interested in engineering or natural science. This potential will be used by the TRR 141 to attract the general public, in particular families, pupils from preschool to high- school, and undergraduate and graduate students to natural science and engineering. Experience gained in the last decade has shown that the combination of biology with engineering sciences is especially attractive to girls and young female students who seem more easily to find their way to engineering sciences via biology and biomimetics. For this reason, public relations will be implemented from the very start of TRR 141 by communicating its basic ideas, details of the individual projects and initial results to journalists from the print and internet media and from radio and TV programmes. This will take place at the three partner universities of the TRR 141 and via the well-established public relations network of ‚Competence Network Biomimetics’. Main target groups are families, pupils, students and teachers from high school. In this context, the involvement of the ‘Staatliches Museum für Naturkunde Stuttgart (SMNS)’ and of ‘Competence Network Biomimetics’ (CNB) will play an important role. Both organizations have a long record in organizing workshops and conferences and for establishing broader science public relations and education in the context of lifelong learning. In the third and fourth years of TRR 141 a specific exhibition on ‚Bio-inspired Building Construction‘ will be set up in the exhibition halls of the SMNS. For this purpose at the SMNS (approx. 200,000 visitors annually), an exhibition space of ca. 110 m2 is available in the entrance area and can be used for exhibitions at the end of each funding period. The planning of each exhibition will be based on the experience of the SMNS and of CNB in organizing exhibitions with high audience appeal with respect to biological, palaeontological and biomimetic topics. Each exhibition is envisaged as being mobile so that it can be presented at the three partner universities of the TRR 141 or other places afterwards. 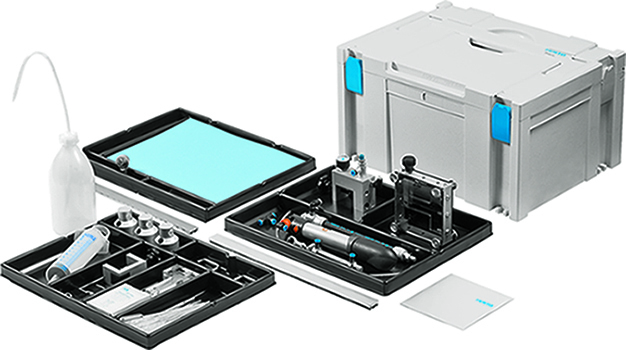 For announcements and the dissemination of flyers or brochures, the facilities of the SMNS, of CNB and the public relations departments of the Universities of Stuttgart, Freiburg and Tübingen and of the ITV Denkendorf can be used. 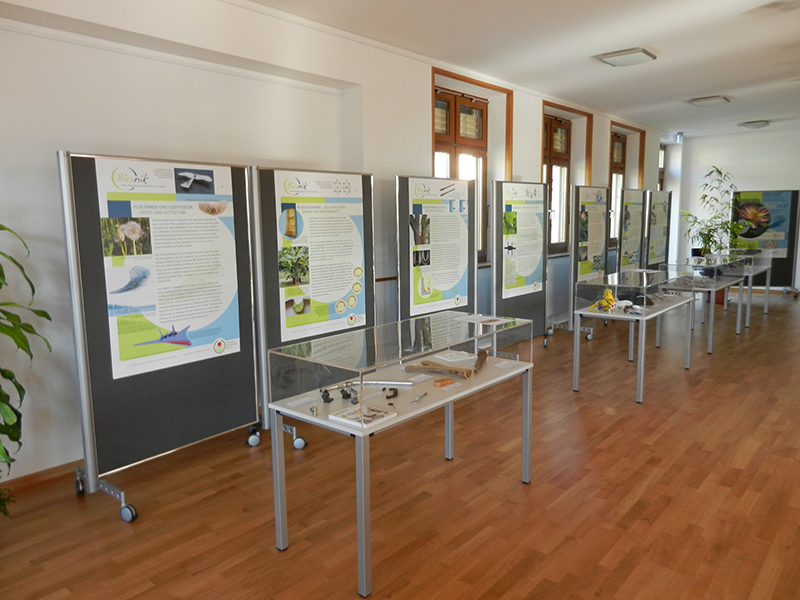 Biomimetics exhibition at the Stoll VITA Stiftung in Waldshut showing different topics on biomimetic developments in 14 showcases and offering hands-on activities like a Velcro® game, a marble track illustrating optimisation via evolutionary algorithms and the Biomimetics-Quiz. Showcase at the permanent biomimetics exhibition in the TECHNOSEUM Mannheim presenting the biomimetic façade-shading system Flectofin® developed by the ITKE Stuttgart, PBG Freiburg and ITV Denkendorf, together with models of the biological concept generator showing the functioning of the bird-of-paradise flower and some other bio-inspired folding systems. 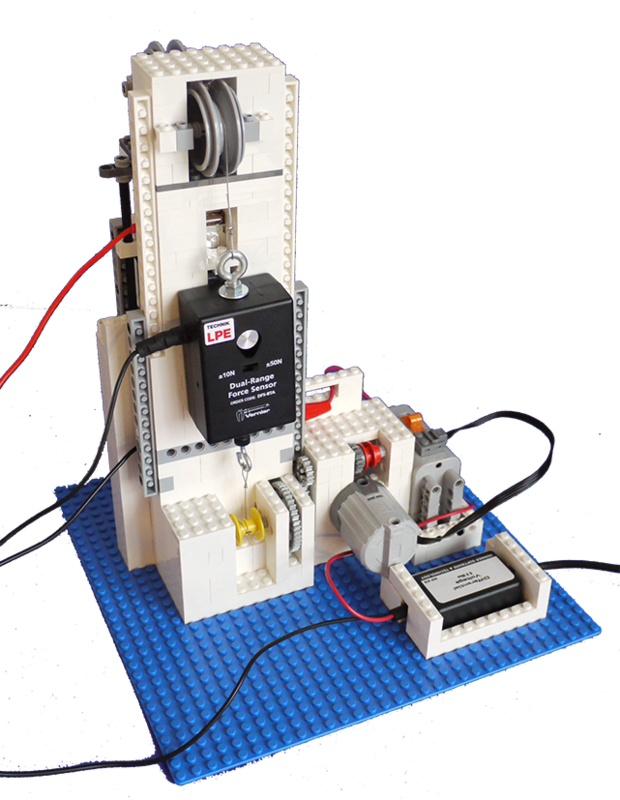 A very accurate tension testing machine built by pupils with Lego® for measurements of biological and technical materials in workshops and class rooms. 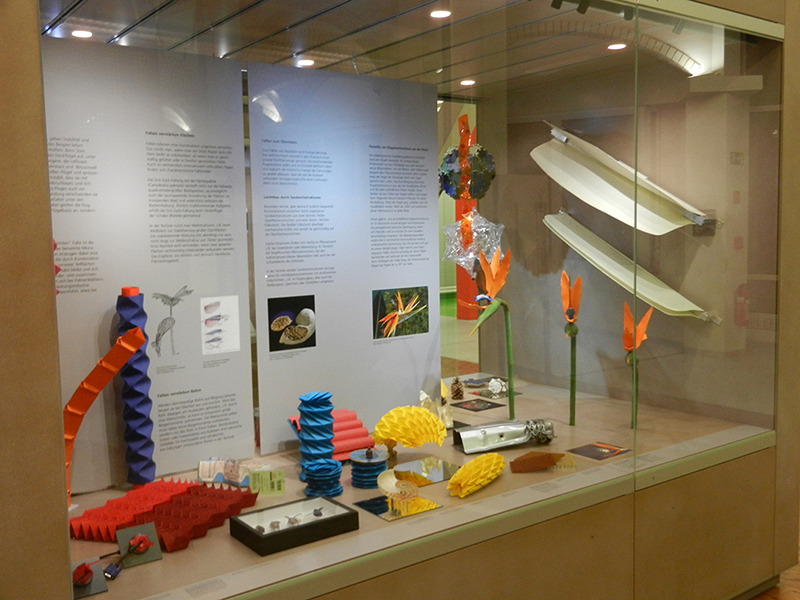 The BionicsLab contains a set of six experiments based on biomimetic innovations and additional teaching material.